New laptops, Lovey! Budget Review, Part 2 | Look Out Scarborough! Yes, right around a million bucks, give or take. Or about $1,000 per High School student. Now this may surprise some, but we at LookOutScarborough believe there should be a 1:1 laptop program at the High School. Kids today need to be computer literate, no matter what their future plans are. 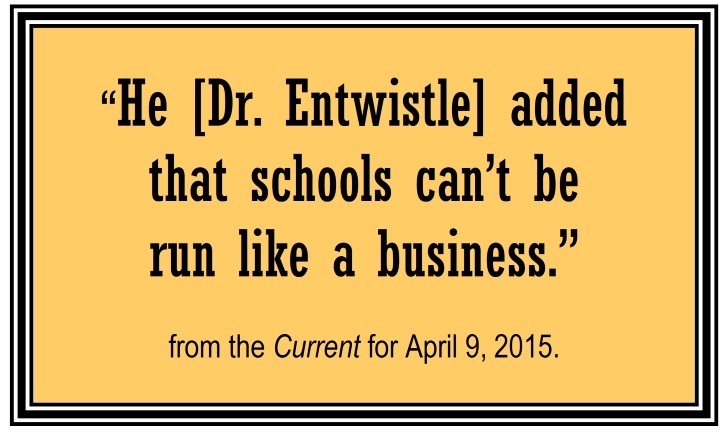 And the trend toward 1:1 programs is unmistakable, both nationally and in the local area. We do, however, have a significant issue: is this the correct 1:1 program for the High School? We claim no expertise in computer environments for secondary education. But even casual research will reveal that there are several different ways to skin this particular cat. Our fear is that our well-meaning School leaders may have selected the most expensive skinning method and, once again, not adequately considered the financial constraints that the Town’s taxpayers face. We have reviewed the thorough proposal (click here to download) that the School leadership prepared. And we note that they did do a financial comparison of the several computer devices that met their specifications. But there’s the rub! The financial evaluation happened after the specifications were determined. In other words, they selected specifications that fulfilled most or all of their “requirements” without examining the financial implications of those specifications. 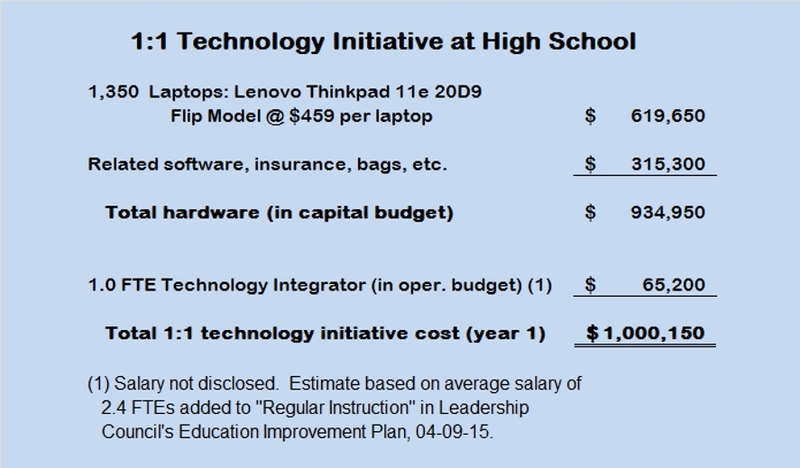 Investing in 1:1 technology at the High School is not that different from the major investments we all make in our lives, like buying a car or house. We decide what we would ideally like to have and then temper those desires with the realities of our financial circumstances. 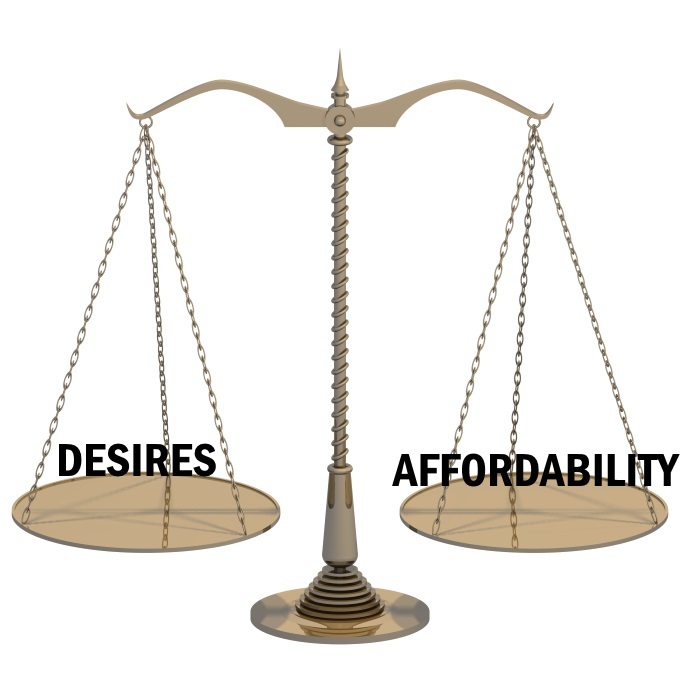 Trade-offs need to be made between what we would like to have and what we can afford. Implementing 1:1 technology — like making a personal investment — needs to consider the buyer’s financial circumstances. In the case of 1:1 computing, the specs call for the device to have a built-in webcam and an HDMI port. Perhaps nice to have, but are they critical to have? And at what cost? The result of having top-of-the-line specs is, as one would expect, top-of-the-line devices being recommended. That’s how we ended up with a $459 laptop being the chosen device. 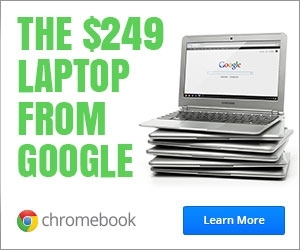 At a time when Chromebooks, for example, are available in the $200 – $300 range. Again, we’re not suggesting that a $300 Chromebook is the answer. But we would like some assurance that we absolutely need a $459 device to have a quality 1:1 technology program at the High School. Have other local schools found less expensive alternatives? What is the “best practice” (love that buzzword!) when it comes to selecting the best combination of low cost and high quality for 1:1 technology programs? On April 14, the School Board presented the school budget to the Town Council’s Finance Committee. It wasn’t a particularly enlightening presentation. At one point, the School Board was trying to demonstrate its prowess and success in negotiating the labor agreements with the various unions. It turns out that’s a hard thing to do when you’re not willing to disclose the financial impact of those contracts. For instance, the increase in cost of the teachers’ contract was described as “per CBA steps + 2.5% COLA.” Translation: “automatic annual increases specified in the Collective Bargaining Agreement plus a 2 ½% cost-of-living adjustment.” So without understanding what the “CBA steps” are, we have no clue whatsoever of the real financial impact of the teachers’ contract. That’s like asking “how much does that sweater cost?” and being told “$50 plus another amount.” Half an answer is not better than no answer at all. It’s not difficult to follow… A teacher’s salary is based on his or her educational level (BA/BS or Masters) and years of experience. Each year the teacher moves up a step and the salary amount associated with each step is increased based on the negotiated agreement between the School Board and the union. After 15 years or if you get a Masters’ Degree, you move to a higher step scale. The COLA increases are built into the annual step scales. And there are other add-ons available. But that’s the basic outline. So, for instance, a teacher with a BA/BS and at step 10 (i.e., 9 years’ experience) will have a base salary of $48,709 in FY 2015. In FY 2016, that teacher will move to step 11 and receive a salary of $51,518, an increase of $2,809 or 5.8%. The following table shows a sample of increases for FY 2016 for a few different education and experience levels. You will note that the steps appear to be arranged so that teachers get much larger percentage increases in the early years of their careers. So how much of a pay increase are our teachers getting in FY 2016? Depending on the teacher’s education/experience, the increase will be between about 2.5 and 7.5 %. To the best of our calculating ability, the total annual increase in teachers’ salaries in the FY 2016 budget is about 4%. We wish we could be more precise with this number, but current School Department reporting does not allow us to perform an accurate calculation of this fundamental statistic. Please note that we are simply attempting to report facts here and not making any value judgments on the amount of the increases. Conclusion: Our current teachers’ contract includes automatic raises of between 2.5% and 7.5% in FY 2016, with an overall increase of about 4% — at a time when inflation has averaged about 2.0% between 2010 and 2014. Indeed, for the twelve months ended March, 2015, inflation was actually slightly negative (that is, we experienced slight deflation). Please don’t forget about the TOWN BUDGET FORUM to be held at 7pm on Wednesday, April 29 at the High School. This may be a once-in-a-lifetime opportunity to hear Town and School officials talk about the Municipal and School budgets and answer our questions about them. They are now soliciting questions in advance through the Town and School websites. Please take advantage of this opportunity to ask about the things that may have been bugging you. (Don’t hesitate to submit some of the same questions outlined in this blog. The more often they get the same question, the more likely it will get addressed.) Click here for a link to the web form where you can submit your questions to the Town/Schools. * Question content (75%) – Does the question zero in on an important factor that is currently not addressed in the budget? Will the answer to the question give the public significant insight into the budget? * Question style (25%) – Is the question asked in a clear, non-confrontational manner that encourages a straightforward and unambiguous answer? Decision of the judges is final. Prizes may not be redeemed for cash. 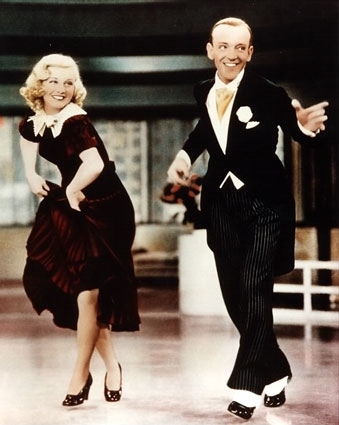 In the event of a tie, multiple prizes may be awarded at the discretion of the judges. LookOutScarborough.com’s employees, its affiliates and their family members are not eligible. The Town Budget Forum is coming up soon – Wednesday, April 29 at 7pm at the High School. This will be a unique (at least in modern times) opportunity to hear about the Town and School budgets and ask questions of Town and School officials. Unfortunately, this opportunity has not been well publicized. For instance, there hasn’t been a peep in the three local papers about this meeting through the issues of April 16-17. That means any notice in the papers will come April 23-24, the end of school vacation week, and less than a week before the grand event. Please take a moment right now and do two things: (1) make sure the Budget Forum is on your calendar, and (2) call or email friends and tell them about this event. We need a strong turnout at this event to let Town and School officials that we are indeed concerned by the “first reading” tax rate increase of 8.5%. That’s it for now, folks. Stay informed. Speak up. Share this blog. This entry was posted in Uncategorized on April 20, 2015 by Site Author. I agrees with Liam on this one. The cost of maintaining this program needs to be presented to the citizens of Scarborough. This is not a one-time cost. As with any hardware/software, the obsolesence rate is extremely high and the associated cost can be high as well. An example would be a few years back when netbooks were the new item that everyone had to have…effectively replacing laptops as the next new computing device. They don’t even sell them anymore because the tablet has taken the place of them as the next new… However, you have to ask: “how many businesses have embraced this new technology and you will find that other than the Apple store, very few. IF the parents of the students truly feel that this item is needed and will have great benefits to the schools learning process then they (the parent or the student) need to contribute to a portion of the cost…say 50%. I find that if people put a portion of their money into a project then they will use it and protect the equipment that they have helped to purchase. Thanks… all good points. There should be a thorough public discussion of this proposal. Then a vote by informed citizens. My Take is most high school students have their own computers by the time they reach high school. Those that don’t can benefit from the computers in the library and /or a computer rental program. The maintenance necessary for this program is not insignificant. This all factors in to the overall costs! Thanks for your comment. 1:1 ain’t cheap, that’s for sure. And it’s a shame that we can’t find a way to take advantage of the “investments” that individual students are already making in tablets, laptops and other devices for their personal use. If you are looking at the cost of the 1:1 program, it’s also instrumental to understand there is an annual / refresh cost that comes with such a program. The 6-YEAR TOTAL for the 1:1 program is estimated to be $1,856,130. So this is not simply a “one time cost”, but rather a recurring cost that will continue to show up on the budget in perpetuity. Even that cost assumes that there are no technological advances that essentially render the laptops they are suing useless, which is the most likely scenario. Imagine using the computer you owned 6 years ago, or the phone in your pocket. Technology advances so quickly that a 2 year old device is considered “obsolete”. Their refresh cost assumes the model computer they purchased originally would still be available, which it will most certainly not be. Indeed this is just a first installment of an on-going program. With the addition of the High School students, the Town will be providing a total of about 2,500 kids with laptops (grades 3-12). (The State, I think, pays for a bunch of these… at least for now. We all know how that game works.) In any event, it’s a major, on-going cost in the School budget. I also agree that the shelf-life of a laptop we buy today is quite limited as technology marches on. It may be the case that a short-term lease could be a more attractive financial alternative than an outright purchase, given the likelihood of near-term obsolescence. 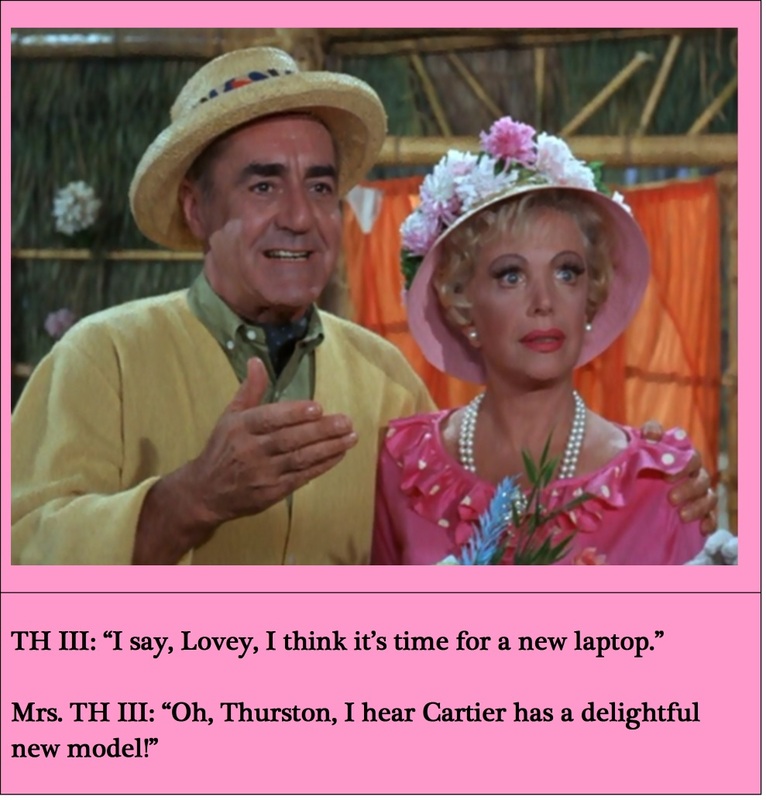 It seems that the laptop vs. tablet question is unsettled at the moment, at least in the educational setting. While I can see tablets as an effective learning tool in the primary years, I believe a keyboarded device makes sense once term papers are required. (Do kids write “term papers” these days or does that reveal me as a prehistoric leftover?) Don’t most college kids rely on laptops for their academic pursuits? If that’s the case, it would be another recommendation for using a laptop in HS. I also have a problem with Project Red. The initiative that is referenced in the report that the school baord used to present to the town council. Two of the biggest sponsors of Project Red are HP and Intel. 2 companies that will profit BIG time if this program is adopted. I now they are’nt proposing we buy HP computers, but the intel processor is in every computer that they will by. Does anyone else see this as a conflicy of interest? I also noticed that the people writing the report prsented to the council were all employees of the school department. We have some corporations in the Portland area. Were any of the CIOs of these companies contacted to serve on the committe to get their expert input as to what computers to buy and if this program is something that would help students. The report also indicated that 20% of the student population doesn’t own a computer. So why are we spending a $1 million for 20% of the student population. Did the committee study any trends to see if computers are the way to go or are they going to be obsolete in 1 year because tablets will be the way to go? Thanks for your comments. Good points. I don’t know if any local CIOs were consulted in the course of the study, but their opinions certainly would have seemed like a worthwhile input. Or perhaps the opinions of college administrators to get their take on technology trends for their incoming students. And since apparently almost all the other school districts in Cumberland County already have 1:1 programs in their high schools, those would certainly have seemed like worthwhile brains to pick. Perhaps these inputs were sought and weren’t documented in the report (or we missed them in the report).